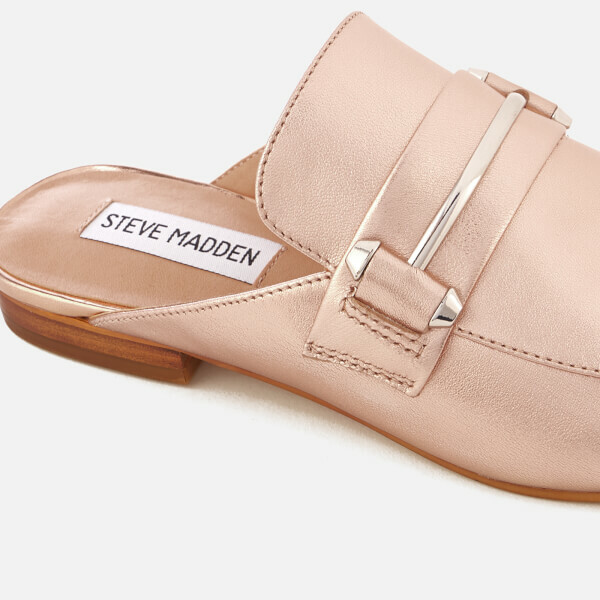 Women’s rose gold metallic slide loafers from Steve Madden with a backless design. 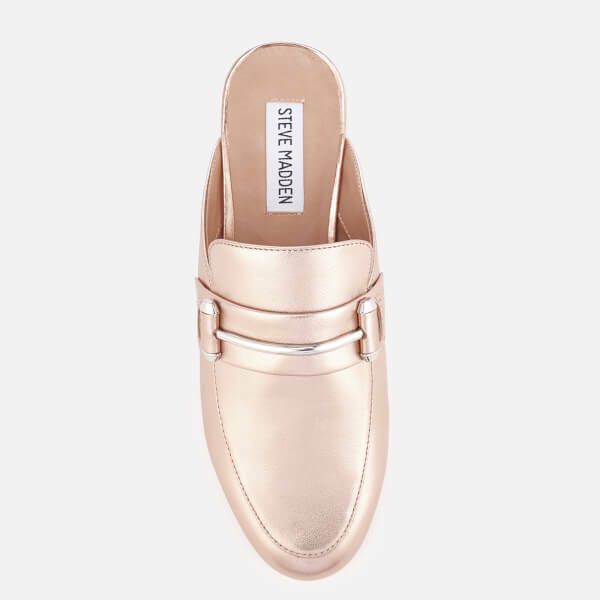 Crafted from textured leather, the ‘Kera’ loafers feature a round toe and a decorative strap across the vamp with a silver-tone metal bar embellishment. 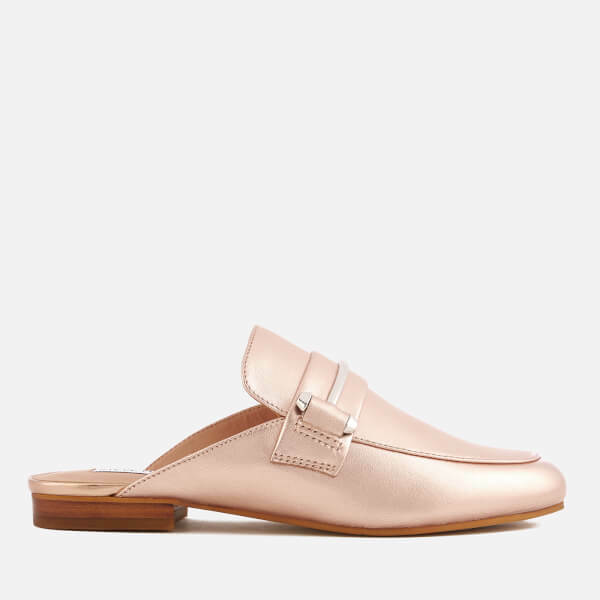 Detailed with exposed top-stitching, the shoes are set on a low stacked leather heel with a rubber overlay for grip and traction.